I personally love immersion. So mods like Five O Clock Shadow for Skyrim are a must have for me. Not having a (working) alternative for Fallout 4 motivated me to write Grow A Hair. Grow A Hair let's the male or female player character grow hair and/or beard over time. Vanilla hairstyles only for the moment. Depending on your starting hairstyle, hairgrowth will follow an individuall tier. Entering the LookMenu at a Barbar-Shop will restart the current growth-phase so you can enjoy your new haircut and "Look beautyful" as garantied by John at the Super Salon. Everything in this mod is script-based. There are no mod-dependencies and no existing objects are beeing overwritten. 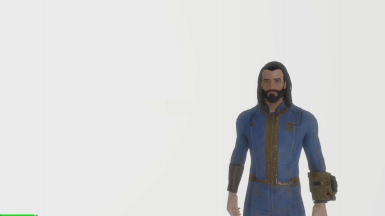 You'll get a Settings Holotape when exiting Vault 111 or starting a new game with Start Me Up. By default, growth is disabled ! Go into the holotape and individually enable hair and/or beard growth, select interval to next phase, and enable the growth... you're done. Changes can be done anytime and will take effect on the next phase or after disabling and re-enabling the growth. If you're using a hair-mod that isn't known to Grow A Hair, you're character will default to the vanilla buzz-cut and a cleanly shaved face and start growing from there. This is done on purpose to prevent the mod running into a loop without beeing able to grow to the next phase. A: Enable the growth with the settings holotape. Wait... you're not talking about YOUR hair, right? ?